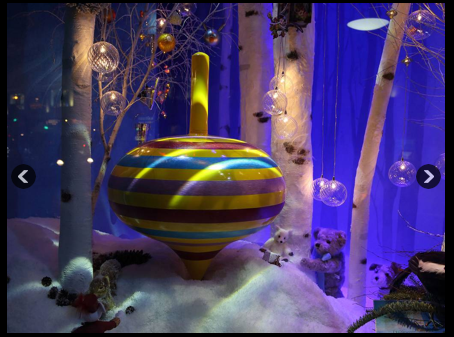 Always tricky making mechanical things fast and last but this giant spinning top at Harrods Christmas windows made for 3D Eye has worked well. Designer, Guy Stevens and electronics by Charlie Hope. We used a strong motor and an Arduino control board. See it move here. Previous PostANIMAFEST ZAGREBNext PostPeacock tail mechanics.